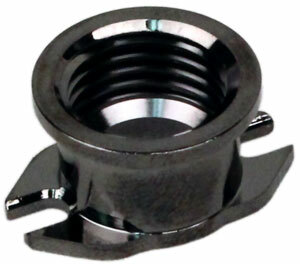 G1/4 compatible replacement outlet port fitting for MCP30 built-in pump. This accessory is a replacement part for the stock outlet port fitting of the MCP30 built-in pump featured in the H140-X, H220-X and H240-X series CPU cooling kits. It allows users to install any G1/4 compatible fitting and to customize their kits with different sizes of tubing.